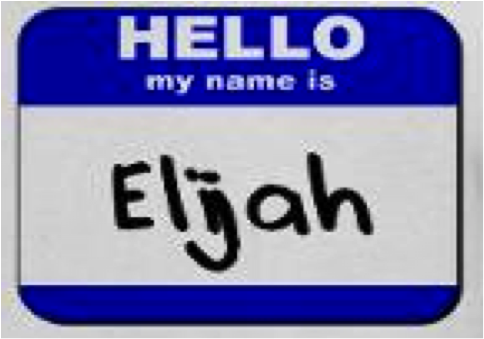 I’m so excited as I have my first guest blogger, my friend Elijah. For those of you unfamiliar two years ago I met a man who significantly altered the trajectory of my life, someone who believed in me, in my writing, in the new found abilities I was growing into, resulting in me following an uncommon path to who I am today. Without further ado, may I introduce Elijah. So, when I was asked to write a guest post on this blog, one of the first things I asked myself, and then everyone else who happened to be in ear shot, is what would I write about in a blog? A friend of mine suggested that I write about my studies on religion and ancient texts, but that would bore most people. And those it didn’t bore would just want to debate why I was wrong because, according to the guy with the big hair on “Ancient Aliens”, God is actually a Grey who wants to genetically mix our DNA with that of a Yak and create a super slave race to mine all Gouda cheese from the oceans of the moon. Don’t laugh… I’ve had that argument before. Another suggested that I write about the books I’ve written. Okay, you might be one of the ten people that bought my last book and will turn around and buy my next one! My friend Luke, who happens to be a chef, said I should write about my cooking and foods that I like. But, I’m not sure how many of you out there want to read about my passion for pickled sausages or read my rant on the need to buy properly marbled rib roast. Besides, aren’t food bloggers breeding like rabbits these days? There seems to be 17 food bloggers at every restaurant I go to. Justin, Luke’s brother said that I should write about my politics. Politics are apparently very “hawt” right now, with it being an election year, and a sure thing to get me “lucky” at the coffee bars. Wow, I will never look at Starbucks the same way again. But I hate politics, politicians, and liars in general and I don’t want to end up in an argument about the Republicans being Greys that want to genetically mix our DNA with that of a Yak and create a super slave race to mine all Gouda cheese from the oceans of Jupiter’s moon. Someone suggested I write about the things in my head. Last time I did that they asked me to take a week-long vacation to a lovely resort where the doors lock from the outside and the rooms are decorated by Tempur-Pedic. I thought about talking about my recent travels, literally around the world, but I hate other people’s vacation slide shows, I wasn’t going to subject other people to mine. So this still left me with a quandary, what am I going to write about? I walked out of my house and down to the beach to consider my options. Then someone (actually it was a kid on the beach who was annoyed with the fact I kept asking him what to write about) said something very prolific. The answer was so simple, yet so complex. I ran back to my house to write the masterpiece of the blogosphere. This would be a piece of art that they would talk about in the same breath as Twain, Dickens, Shakespeare, and J.K. Rowlings. That’s all I got… I just don’t talk about myself that much.